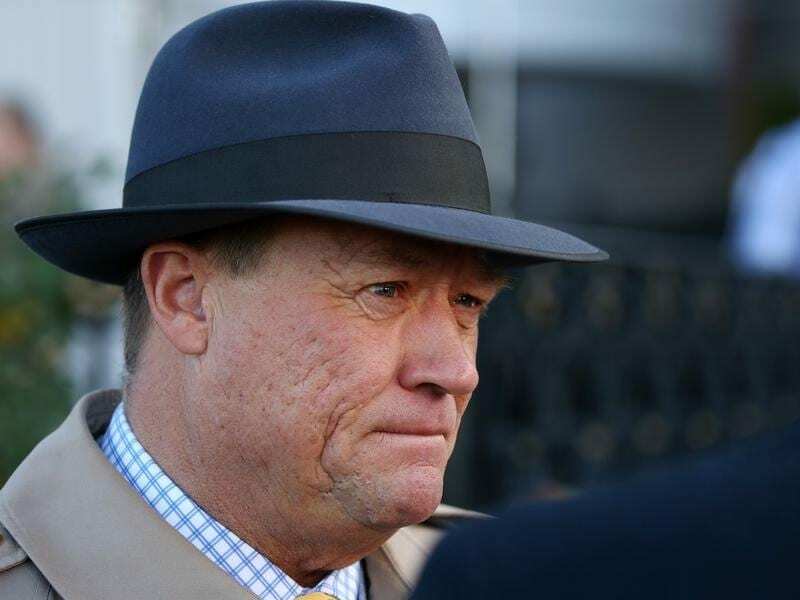 Trainer Tony McEvoy will take the blinkers off Sasko at Sandown despite his past two wins. Trainer Tony McEvoy has changed his opinion of up-and-coming stayer Sasko who will attempt a third straight win when he runs at Sandown. After back-to-back wins at Sandown and Ballarat, Sasko runs in Wednesday’s Ladbrokes Back Yourself Handicap over 2400 metres. Sasko has been installed the $2.70 favourite to complete the hat-trick with last-start Flemington placegetter Big Hammer the $3.70 second elect. “He’s surprised me,” McEvoy said. “We quite liked him early on but he needed to step up and I was thinking he might just be a provincial horse. “But in the last six or seven weeks he’s changing my mind rapidly. Sasko has worn blinkers at his past five starts, resulting in three wins, however McEvoy has decided to remove the headgear on Wednesday. McEvoy said Sasko was racing too fiercely in his recent outings and he wants him to settle as he rises in grade. “He’s been doing a great job for us but making a lot of mistakes,” McEvoy said. “He’s been going out too aggressively and pulling too hard but still winning so I’ve decided to take the blinkers off him. “I don’t like changing gear on winning horses but I just thought I had to to see if he can relax. McEvoy has plans to head to Caulfield with Sasko for the final city meeting of the season and the trainer has a couple of options for the three-year-old. There is a $120,000 Three-Year-Old race (2400m) or the richer $150,000 VOBIS Gold Stayers over the same distance. “He’s eligible for the VOBIS Gold race so if we want to take on the older horses again we can and then we can give him a freshen-up and get him back for later in the year,” McEvoy said.